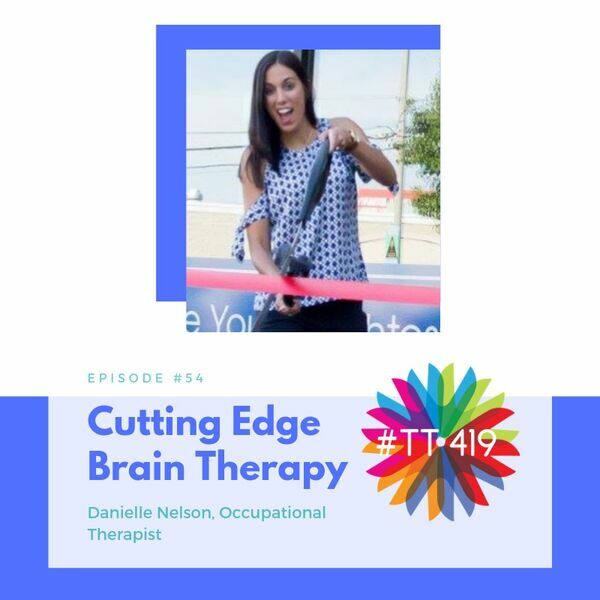 In this episode, Danielle explained the she always wanted to work with kids, but didn't think a teaching career was for her. In college, she discovered the field of occupational therapy and fell in love. Working as a traveling OT, she noticed that many of her clients (with issues such as anxiety and ADHD) still retained their primitive reflexes and wanted to know how to help them reprogram their brains and overcome these issues from the ground-up. She got trained with some of the best functional neurologists and the rest is history! After working all over the country, she decided to move back home to Northwest Ohio to share her gift of neurological rehabilitation. Danielle explained that "neurological rehab" has to do with input (sensory processing, etc. ) and output (physical movement, etc). Primitive reflexes are sort of like traditional reflexes (think of the time the doc tapped your knee with that hammer!) and apply them to automatic body responses that are developed in utero and slowly overwritten in your neurological pathways in the first year of your life. If these automatic responses stick around beyond age 1, people can experience a multitude of physical and mental symptoms (too many to list)! It's a common phenomenon that is not widely recognized yet, but has the research to back it. Danielle has worked with people ages 18 months through 86 years old while her primary age range is 6 to 16. Balancing your brain takes a commitment of daily time and effort over a period of weeks to months to get the best outcome. Danielle offers consultations with parents and adult to discuss whether her program is right for them, and also to help determine cost and insurance coverage of the program.